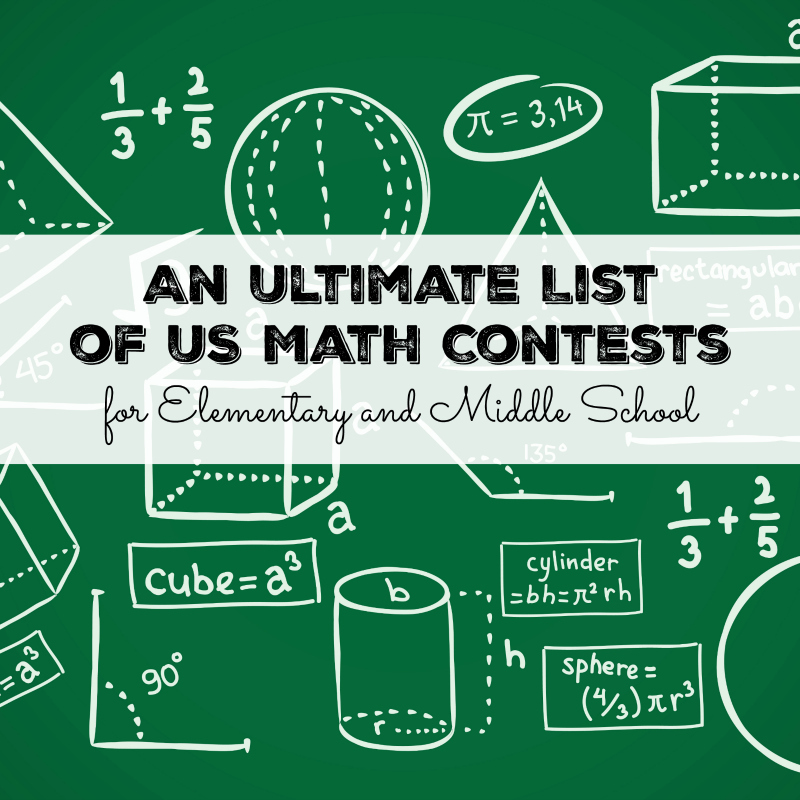 Do you have students who enjoy math challenges and want to test their skills against others? Check out these math contests and associated resources, many of them are free. Math Kangaroo is a good introduction to math contests - even first graders can participate in it. Also problem difficulty will vary from grade to grade. Registration fee is $20, so cost of entry is reasonably low. After registration, you get access to a Media Library that offers visual solutions for the problems from previous years. The drawback is that you need to find a Math Kangaroo center near you that allows public registration or you need to convince your school to register as a Math Kangaroo private center. 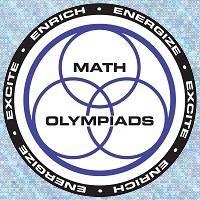 Despite an unattractive website, Math Olympiads is a solid program. Students, working individually, participate in 5 contests a year, each contest contains 5 problems. Calculators are not allowed, and each correct problem is scored as 1 point, so top scorers will get 25 points in a year. Individual entries are not allowed, but homeschoolers can register their homeschool for participation. Everything is done "remotely", so you don't have to look for a location near you, you just need to form a team and register for participation. Enrollment is $109 for US schools, and both 4th and 5th graders as well as 6th graders can compete in Division E. Math Olympiad also publishes a "problem of the month" every month, but I don't see the archive, so it looks like only two months are available at any given time. As I said, they have positively the worst web presence for the contests described here. Both Math Olympiad and Math Kangaroo are also available for middle schoolers. 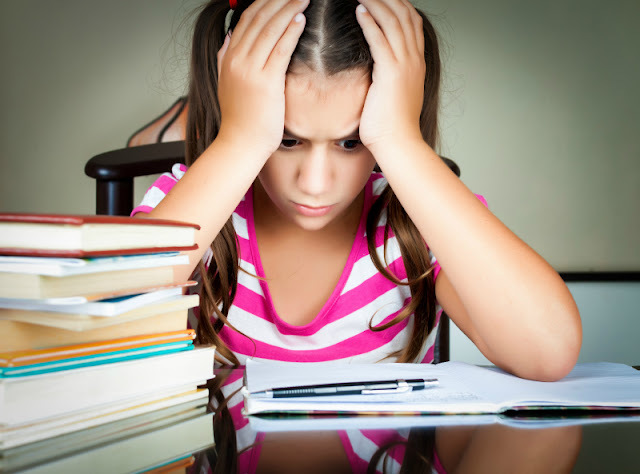 Math Olympiad has Divison M for students in grades 6-8, and Math Kangaroo offers different problem sets for each grade. MATHCOUNTS is specifically a middle school program, and has significant advantages over others, because it allows not just "in school" competitions, but it also has regional, state, and national events. The problem set is shared between grades 6-8, which makes a program ultra-challenging for younger students, but also inspirational in terms of increasing personal best over time. It is also an only program that offers a team event - working in a team is something that budding mathematicians often have difficulty with, so it's certainly worth a look. This will be our main competition program for middle school this year. AMC8 is also "once-a-year" event and an introduction to the math contests conducted for high school. Just like Math Kangaroo, it's a timed contest where students are offered 30 problems to be solved in 40 minutes. There is a registration cost and a "per-bundle" cost (total of about $90), so it helps to have at least 10 students wanting to take part. Also known as Abacus Math, this competition is completely online and completely free. Students in each grade group can send their answers over email or just work on the problems at home and in class. While it's less satisfying as true competition, Abacus Math is a good source of interesting problems for mathematically gifted children. Have your kids participated in math competitions and do you have any contest to add to my list? I did MathCounts in Middle School! Huh, I didn't know about these.